This article originally appeared on Women in Retail Leadership Circle, sister brand of Total Retail. It was only a few years ago that Sugarfina was an unknown candy store. From its sweet beginnings — pun intended (the co-founders came up with the idea while watching "Willy Wonka" on a date) — to today’s luxury candy shop, a lot has changed. Now, there aren't many places you can go without seeing the ubiquitous Rosé All Day candies in the recognizable light blue boxes from Sugarfina. “The beauty and challenge of retail is how quickly it's moving, but that means it gives us an opportunity to grow quickly,” noted Rosie O’Neill, co-founder and co-CEO of Sugarfina, during her presentation yesterday at the eTail East conference in Boston. With a Wall Street Journal headline proclaiming Sugarfina as “The Tesla of Candy,” the brand was immediately thrust into the consumer consciousness. The Rosé candies alone sold out in two hours, caused the website to crash three times, and generated a nearly 18,000-person waiting list. The rest is history. 1. Shower them with rewards. "Generosity leads to reciprocity," said O'Neil. 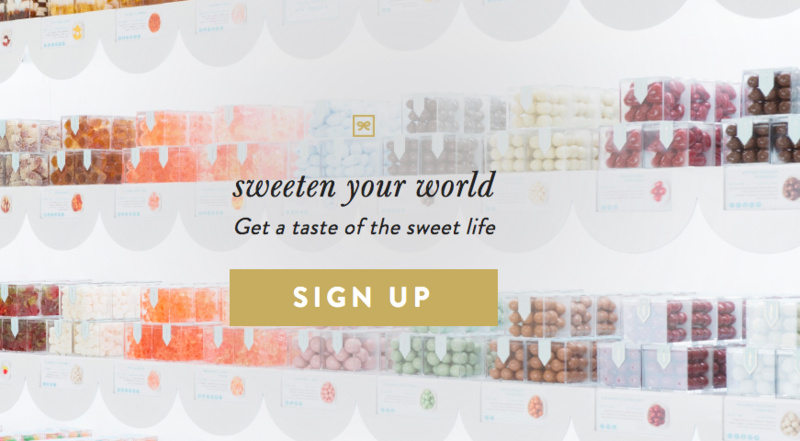 Sugarfina's tiered loyalty program offers members perks such as free candy of the month, early access to products, and even an in-store party for them and 10 of their friends. With social media playing such a critical role in Sugarfina's growth, the brand has invested resources to make customers’ social experiences with it memorable. "We design our stores around Instagram," said O'Neill. "We want you to walk around, take photos and share with your friends." With almost every aspect of the retail customer experience connected to digital in some way today, it's important not to forget the importance of creating human relationships with your customers. "We can't forget to keep the human connection," O'Neill said. "We send a handwritten personal note with every purchase. We think it's important to connect and add a personal touch."